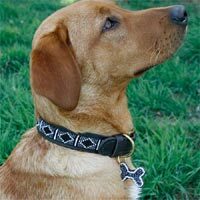 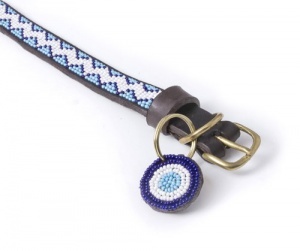 This handmade leather dog collar is absolutely beautiful and that little bit of luxury for your dog. 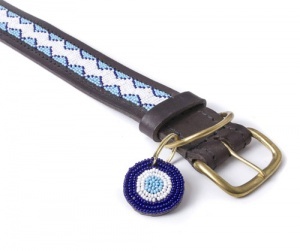 Hand stitched with pretty glass beads onto the leather. 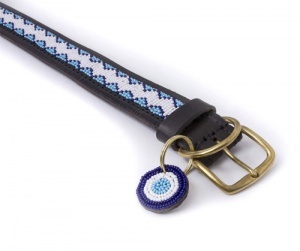 This bright and cheerful Kilifi Blue design features a central white zigzag with blue edging and light blue surround. 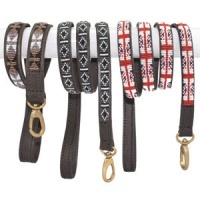 The colours will look stunning against any coat colouring and is perfect for summer and winter alike. 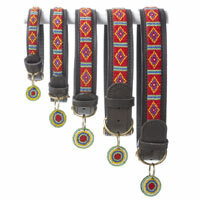 Ethically sourced from Kenya in Africa, each of these soft leather collars is hand beaded in a range of glorious and colourful designs. 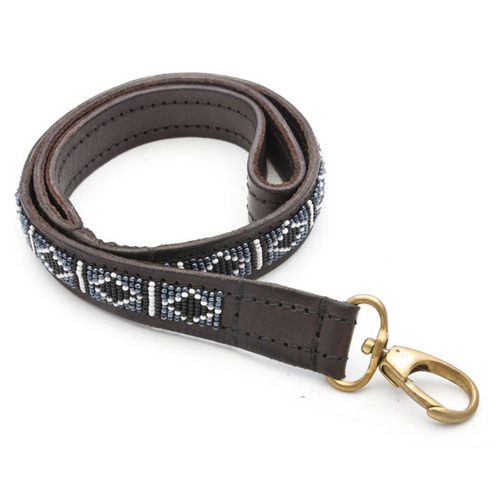 Made using free range Kenyan cowhide leather and beautifully finished on the inside with a soft goat-skin lining. 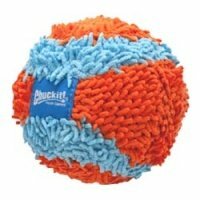 So soft and comfortable against your dog’s neck. 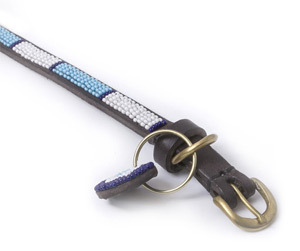 Each glass bead is hand-stitched, making the finish strong and long lasting. 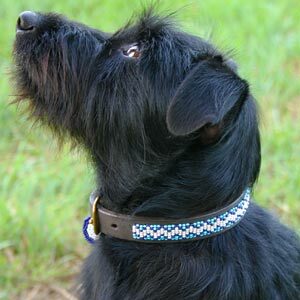 These unique leather dog collars are a little bit of handmade luxury with loads of feel good factor. 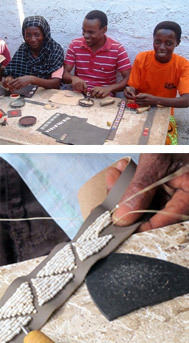 As well as buying a beautifully crafted product, each purchase helps people in impoverished communities to support and better themselves. 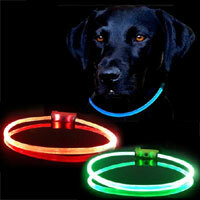 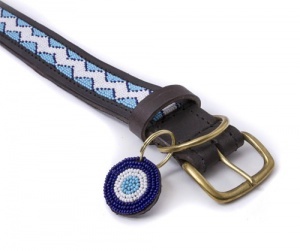 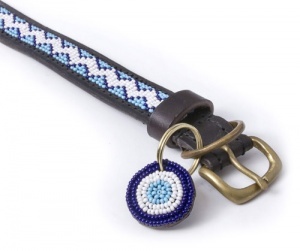 These collars and optional matching leads bring you a flavour of Africa. 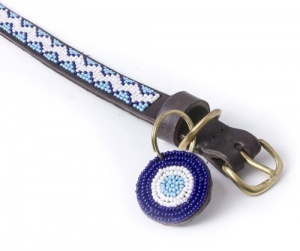 Perfect if you are looking for something ethnic, ethical and that little bit special.